Ricoh strives to create products which can be used the same way by various people, including disabilities and elderly, working in the same office. 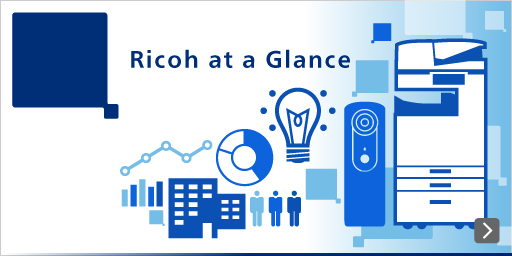 One of Ricoh's brand benefits "Simplify Your Life and Work" is set as a development concept and we are engaged to improve Accessibility. Based on Japanese and U.S. laws and regulations on Accessibility, RICOH is developing the Accessibility functions to be adapted into each of our products. Working with vertical associations, we cooperate the development of accessibility regulations in each country. We are executing our own marketing research regarding the working environments for disabilities people.